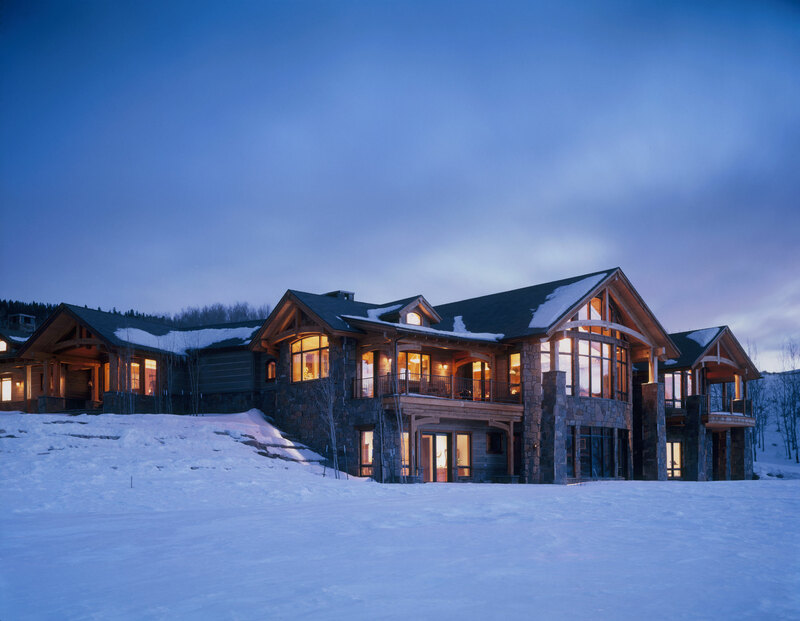 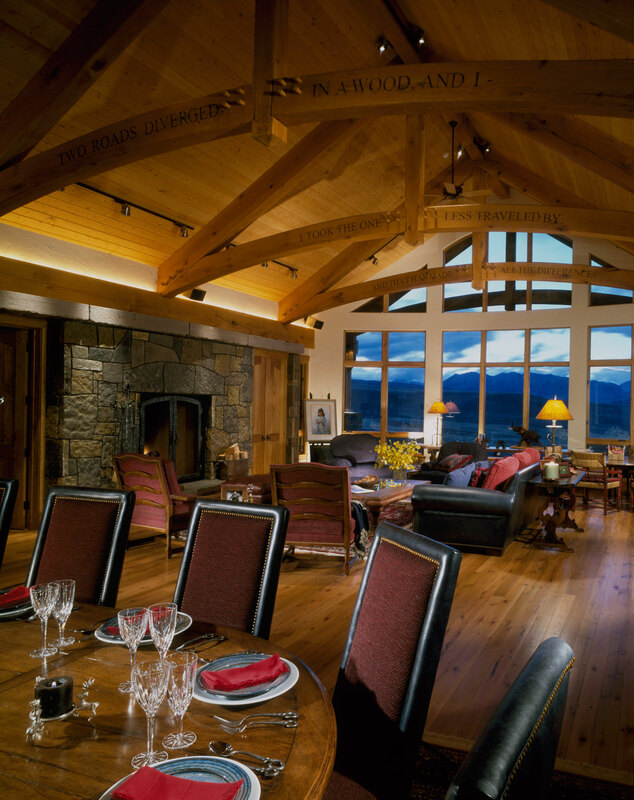 Designed to blend into its remote setting, this 11,800 square foot Colorado Homestead has a sense of timelessness, as if it was a part of the original ranch. 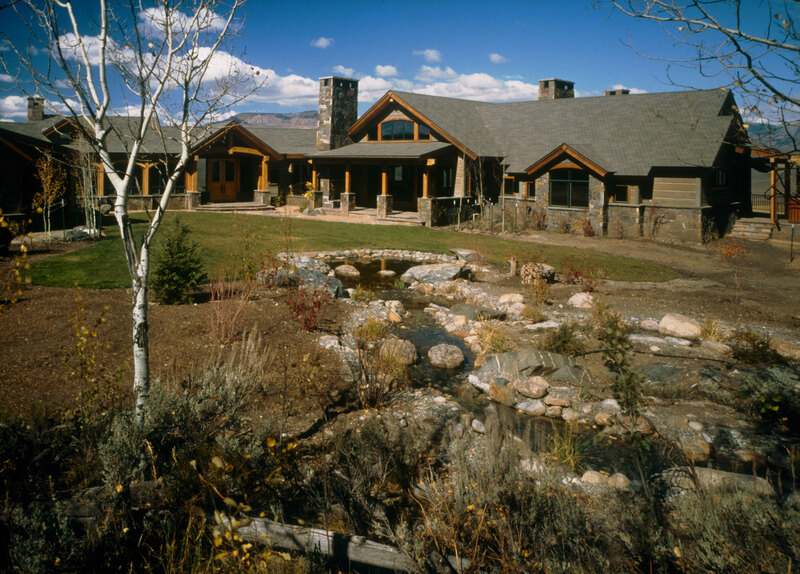 The pristine setting will forever remain due to the covenant guidelines of this 3800 acre, working cattle ranch high in the Central Mountains of Colorado. 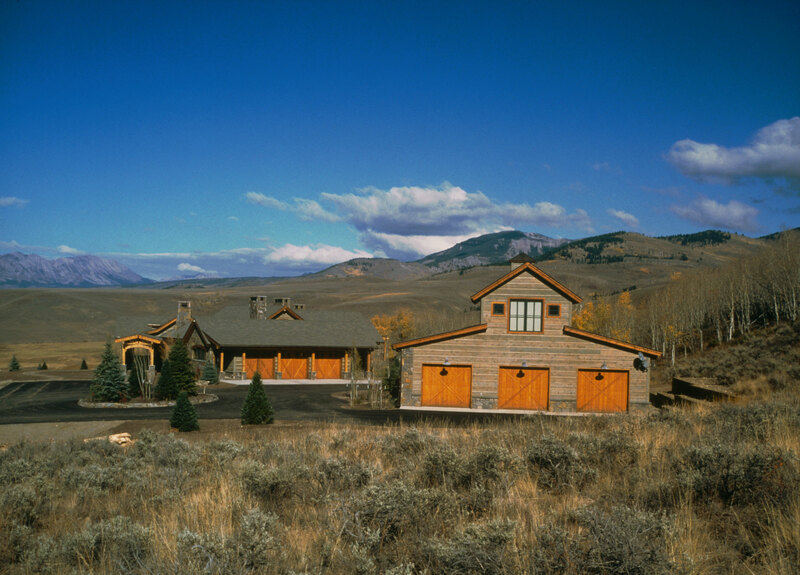 The 200-acre parcel, with a one-acre building envelope, respects the land conservation easement in retaining the spectacular surroundings and views of the West Elk range for future generations to enjoy. 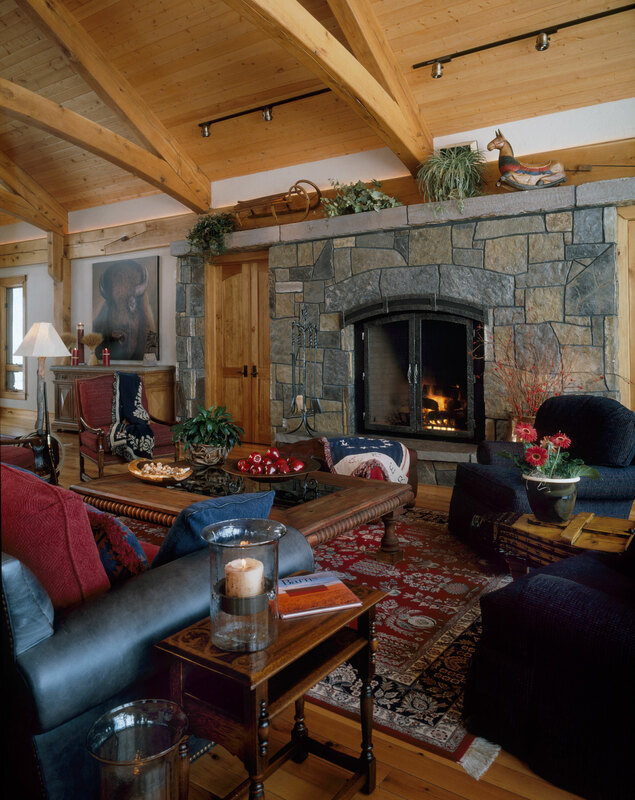 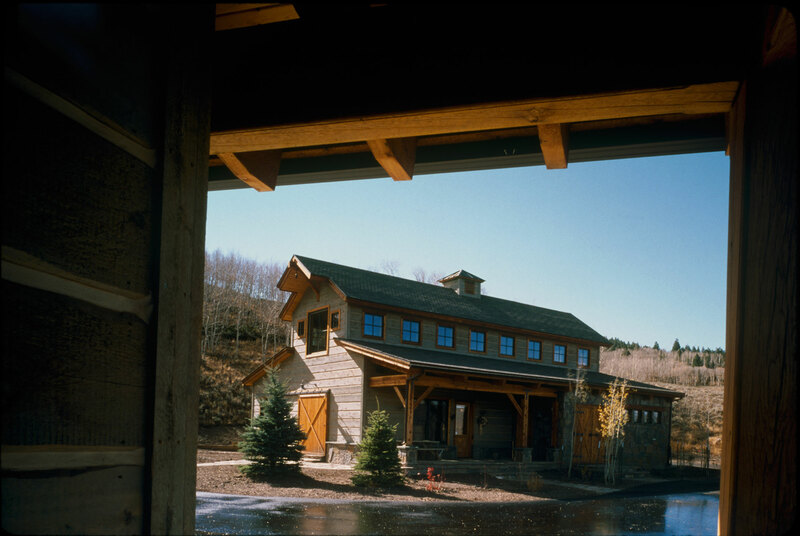 Pegged traditional post-and-beam framing in oak creates a warm and modest rustic appeal. 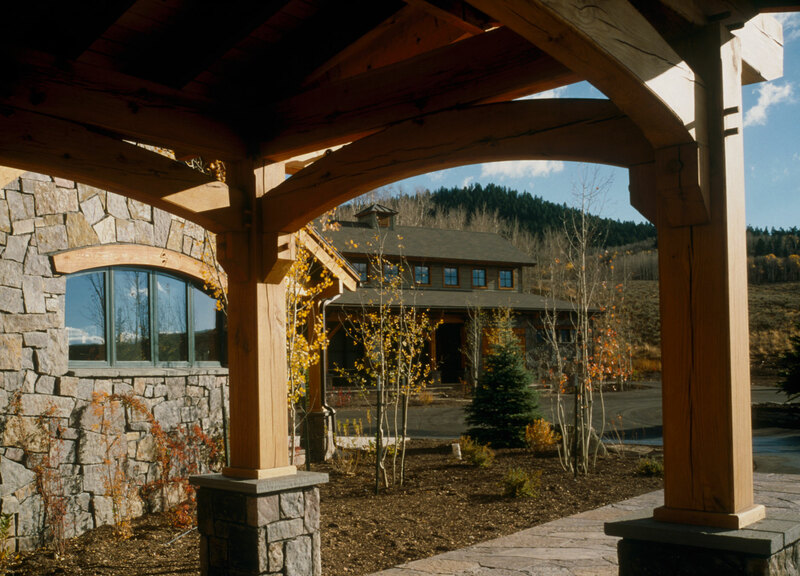 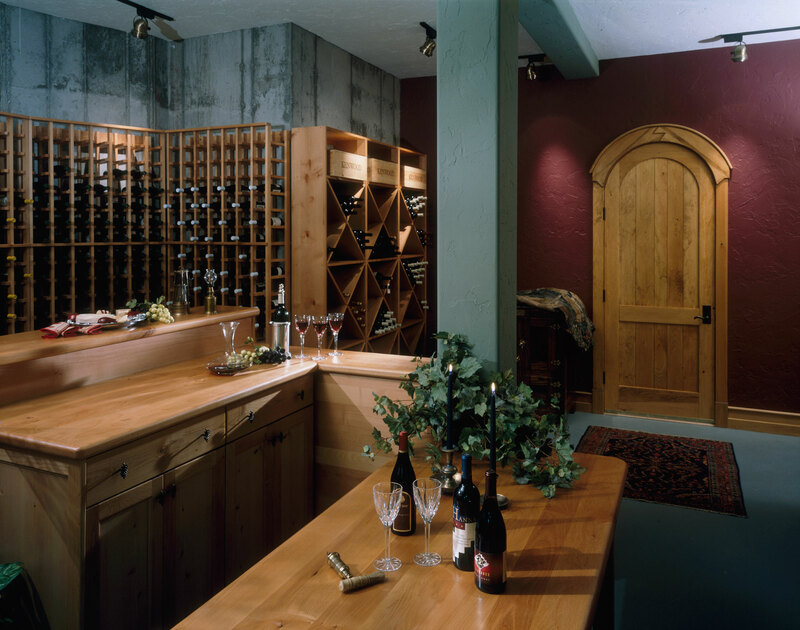 Materials used throughout the home include Colorado buff sandstone, reclaimed oak flooring and custom dry-stack native stone work. 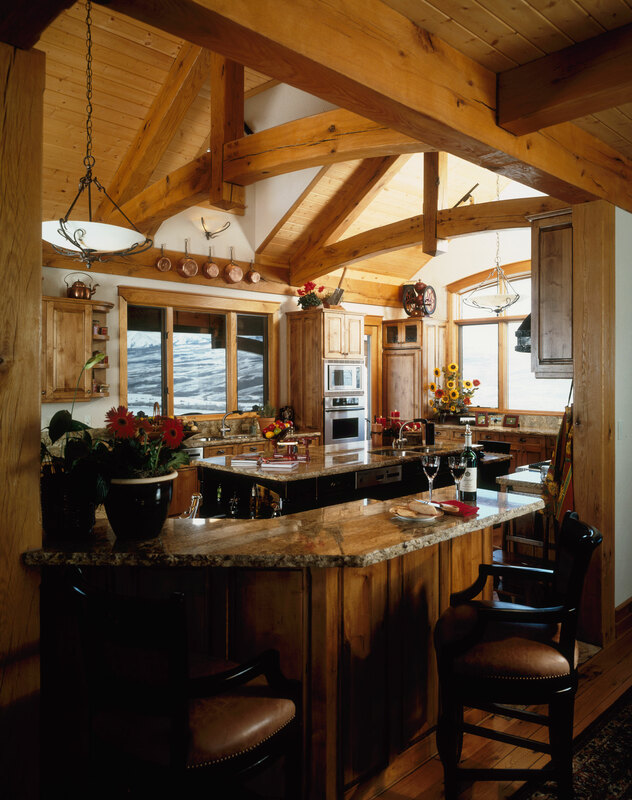 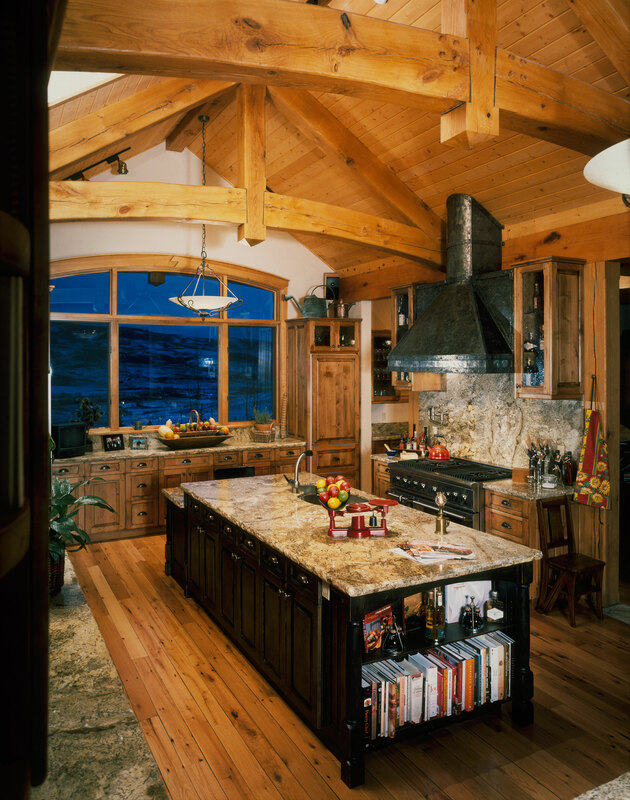 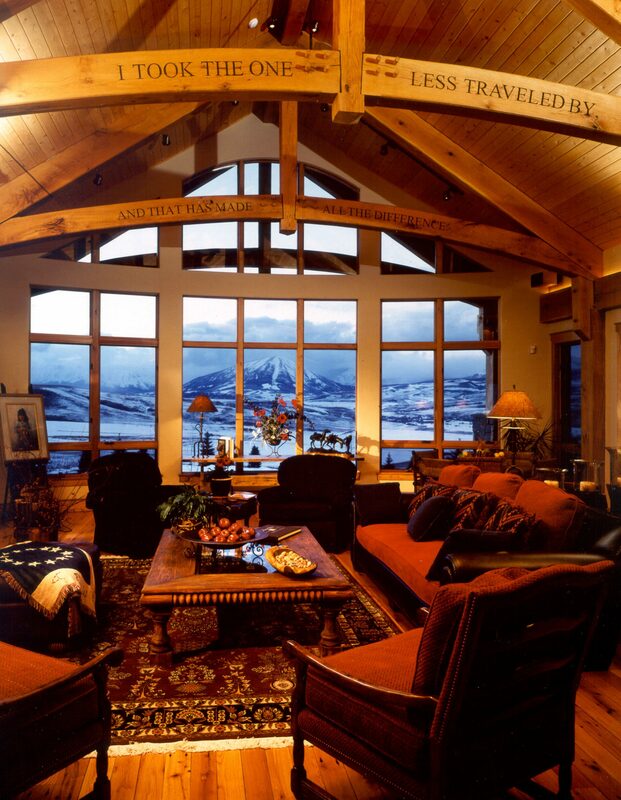 The dramatic interior oak trusses are personalized with the owner's favorite Robert Frost phrase--eluding to the private and serene setting of the home. 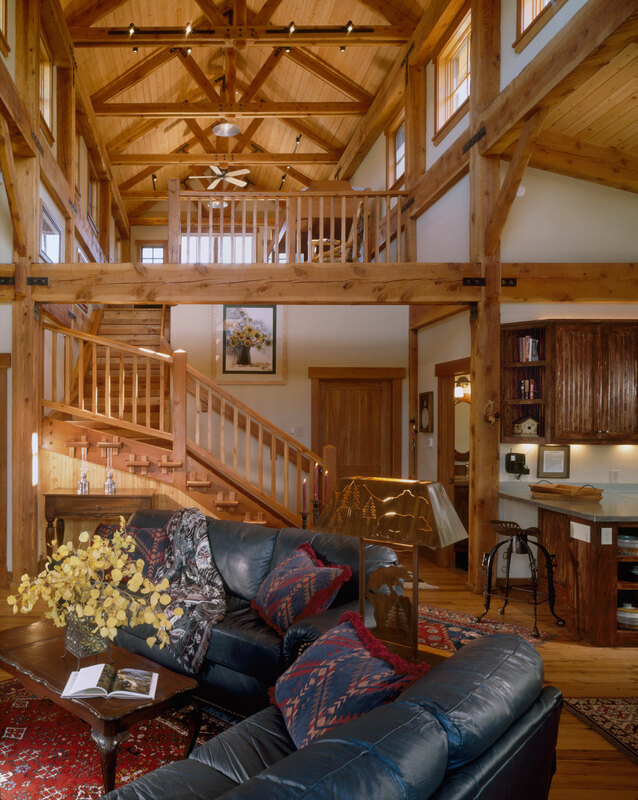 The guesthouse within the adjacent timber frame-barn echoes the style and appeal of the main structure and provides a romantic link to the past.